Sherlock Holmes (/Moriarty). Goldwyn Pictures Corporation 1922. I was somewhat concerned to see that this movie is also silent and based on the Gillette play, but a glance at the first paragraph of the synopsis tells me this is definitely a different adaptation. Not being familiar with the text of the play I can’t say if the differences were added to this production or subtracted from the other one. This looks hopefully more engaging. When I first attached a disambiguating year to a title, I never expected to do two movies with the same title back to back. I can’t say it’s just because there were fewer movies to get confused with back then, since even the past decade has seen multiple productions simply titled “Sherlock Holmes”. 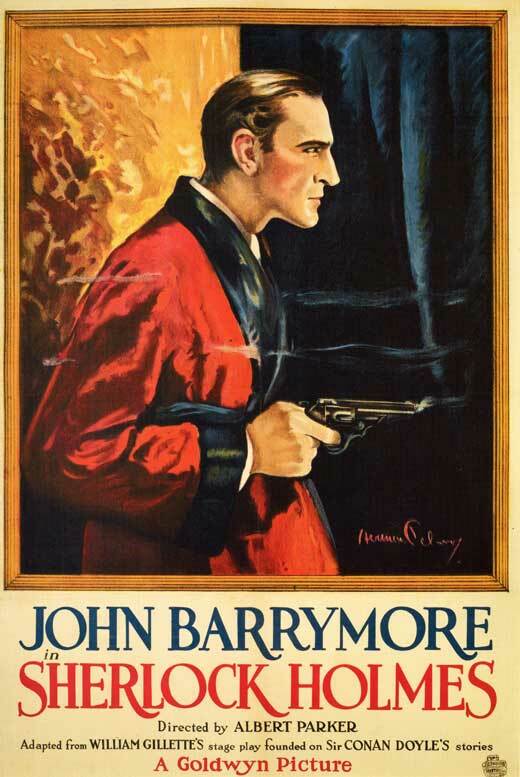 So it’s worth noting that in Britain it was titled Moriarty.